I attended the Falling Lizard at UCLA last weekend. The idea was to finish an animated film over the weekend. The theme was 'failure' and I failed to finish mine over the weekend. 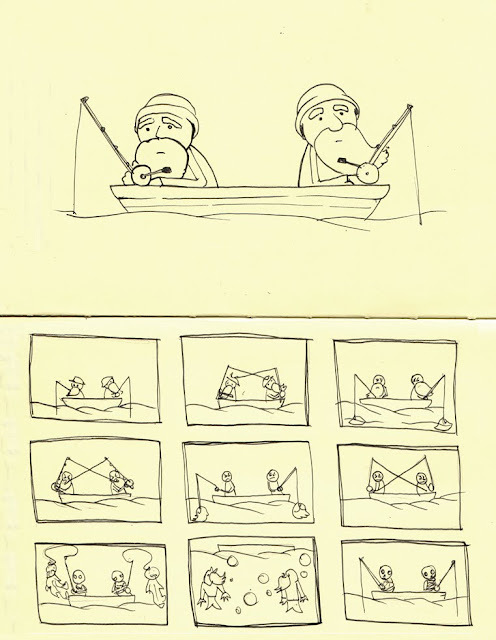 But I did come up with these story boards for a fishing failure (based on a true story). I decided to make this a very short stop motion animation.